In today’s high pressure, fast changing work environments, understanding and being able to keep your own emotions working in your favour can be tough enough, let alone managing the emotional state of those around you. Emotionally Intelligent people have developed their ability to do just that – helping them to influence, lead and coach themselves and their peers, reports and customers to better, more sustainable outcomes. This 1-day in-house course enables delegates to better understand and manage their emotions and those of others to achieve greater balance, empathy and influence in the workplace. 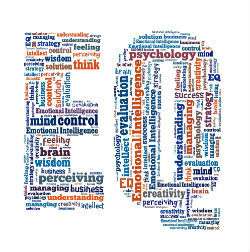 The Emotional Intelligence training provides an intensive introduction to Emotional Intelligence and combines individual behavioural feedback – a great attention-grabber in motivating personal development – with interactive exercises and discussion to ensure each participant can interpret their feedback against their own practical working context.